Pristine 2013 Mercedes Benz C 300 4-Matic Sport Sedan. This Raven Black Beauty just traded on a new Mercedes Benz dealer locally!! Absolutely Gorgeous, and Loaded with all the Options!! the 2013 C Class had many updates, and uses the More Powerful, yet more Economical 3.5 V-6 instead of the the 3.0 V-6! 7 Speed Automatic Transmission. ALL WHEEL DRIVE. Has the Premium Styling Interior Pkg. with Black Leather, and Burl Walnut Interior. Sport Pkg. With Sport Suspension, and Black Leather Wrapped Steering Wheel that has power Tilt & Telescopic Adjustments, and Control Buttons. Dual Zone Climate Controls. Optional Premium Sound Pkg. with Harman Kardon Logic 7 Sound System NAVAGATION, Satellite (Still has Live Connection now!) Bluetooth, DVD, Power Glass Moon Roof. Surround Air Bag System. Power, Heated, memory Seat Option. Automatic Headlamps. Rain Sensor Wipers. Automatic Dimming Rear Mirrors. 17 Inch 5 Double Spoke Sport Alloy Wheels on New Continental Tires! All Original Books, Manuals. Clean Auto Check History Report Showing NO ACCIDENTS OR ISSUES!! 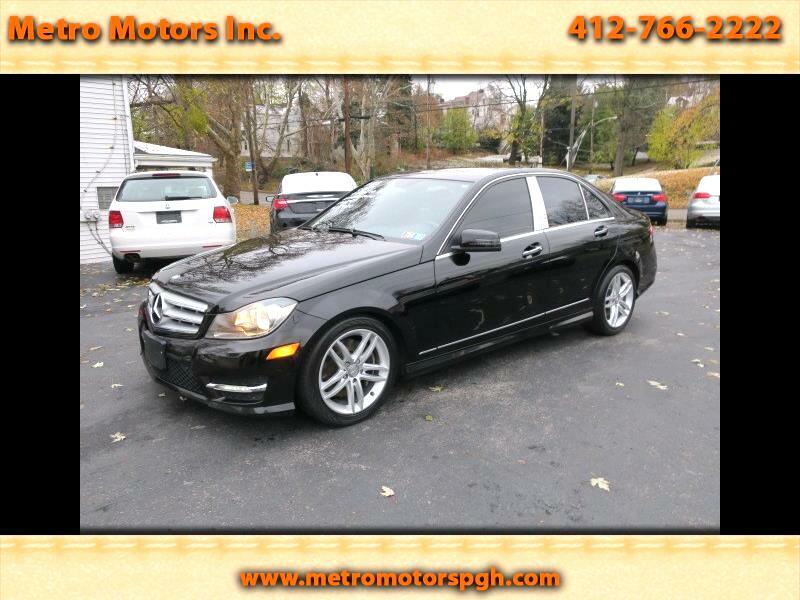 You won't find a Nicer, Better Color, Highly Optioned 2013 Mercedes Benz C 300 4-Matic! !